Codec: Depending on your hardware, you can either use the standard X.264 codec (which uses more CPU) or a variety of hardware codecs (NVIDIA’s NVENC, AMD’s VCE, Intel’s QuickSync, Avermedia’s H.264) that have a lower CPU cost. Quality: The higher the quality, the larger the file size and higher CPU usage for X.264. Audio Encoding: For this, we generally recommend you use AAC LC HQ, 128 kbps bitrate, and 44.1 KHz stereo format. Output: We recommend using mp4. You can also choose to split your files by either file size or time. 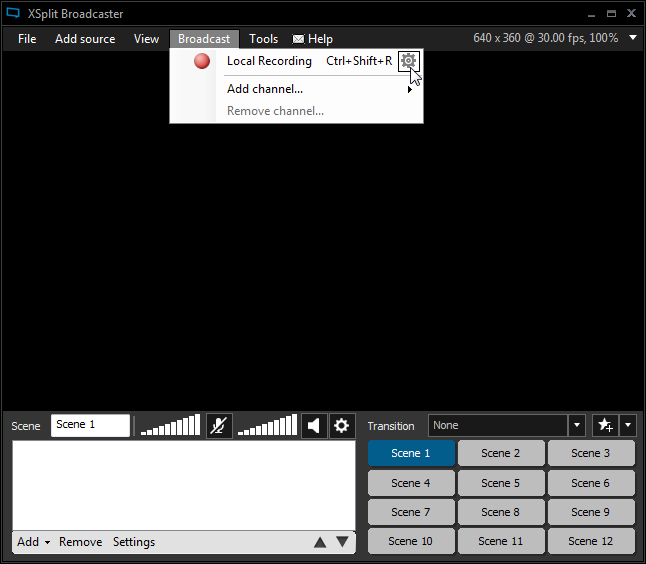 Force Constant Frame Rate: We recommend you keep this option checked if you plan to use your XSplit recordings with 3rd party video editing programs. 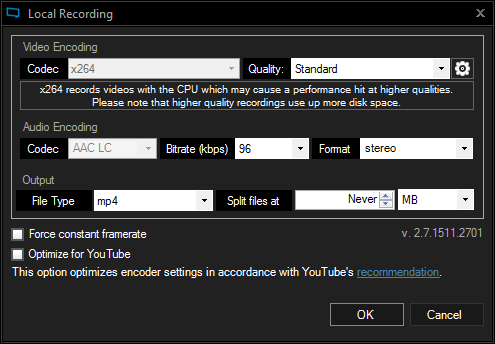 Optimize for YouTube: Optimizes encoder settings in accordance with YouTube’s recommended upload encoding settings.